The website China Tibet News reported on June 19, 2014: “The symposium for inter-ethnic marriages hosted by Chen Quanguo promotes ethnic unity using inter-ethnic marriage as an important starting point”. “Inter-ethnic marriages are a strong security in Tibet’s battle against splittism, we (…) should actively encourage inter-ethnic marriages, and (…) formulate preferential policies.” This is what the Secretary of the TAR Party Committee, Chen Quanquo, said at a “Symposium for Inter-Ethnic Marriages” in 2014; after appearing in China’s official media, it triggered a storm of protests and was ridiculed with the slogan, “Intermarriages against splittism”. A photo from “Dana Sakura” showing a Japanese police officer and his indigenous Taiwanese wife and their children. This world has already become openly opposed to any forms of colonialism, even Xi Jinping has had to explain that what China is doing in Africa is not “neo-colonialism”, but “a step towards peaceful development characterised by mutual benefits.” Chen Quanguo’s words about inter-ethnic marriages as a way to fight splittism, on the other hand, exude all the blood-reeking and cruel platitudes that countless colonialists have used in history. For example, the Japanese, the most hated enemy of many Chinese, who invaded and colonised numerous countries in Asia used various measures, including “intermarriage” or “special education”, to assimilate indigenous populations. This is, for example, shown in the Taiwanese film “Seediq Bale” that is believed to be “the greatest epic of Taiwanese indigenous people”; other historical records are even more concrete, writings: When Japan first colonised Taiwan, they drew up a “Five Year Plan” in which they stipulated that any police stationed among indigenous Taiwanese groups would be awarded when marrying the daughter of local leaders. 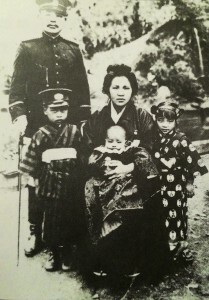 “Through marriage, resistance against Japan can be eliminated, and by ‘manipulating the indigenous women’, information from within the group can be obtained, which ultimately serves the goal of controlling them.” This kind of marriage was called “He Fan” (uniting with the foreign), helping the Japanese to complete their mission of “giving amnesty to” and “edifying” the colonised. If we look back at human history, we clearly see that the old-school colonisers like Spain, Portugal, England, France etc. all encouraged intermarriages between colonisers and the colonised when they arrived in their respective colonies, whether in the Americas or Australia. They believed this to be a simple and effective way to assimilate local people and thereby more easily governed. The author of the American “Declaration of Independence”, the third President Thomas Jefferson, believed that intermarriage and other ways of amalgamation had fundamentally altered the physiological structures of Indian Americans; it began by “civilising” them, gradually and eventually extinguishing all differences between the “barbarians” and the “civilised” people; these methods clearly reflected the feeling of superiority of the colonisers and were acts of racial discrimination; in fact, they rationalised the indiscriminate plundering of indigenous people’s resources and land. 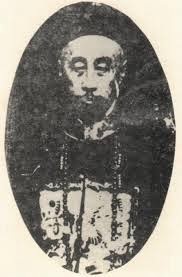 Zhao Erfeng – “Butcher Zhao” – who issued the “Han-Barbarian Intermarriage Order”. In Chinese culture, one sentence has been deeply engraved in our history books for 2000 years: “Those who are not from our group will surely be different”. Hence, “minor differences are assimilated, moderate differences evoke alertness, major differences are attacked; differences threaten us and will inevitably be destroyed!” It means that many of those who were “different” were either “assimilated”, once and for all amalgamated and integrated, or they were “attacked”, which means they were “destroyed”. This process, to use the rhetoric of the CCP, used to be called “liberation” and is now called “stabilisation” or “anti-splittism”. Using “intermarriage” for “ethnic assimilation” has been common in the history of Tibet. It has been highly praised by Party officials and attributed by a large group of nationalists to “the first minister governing Tibet during the late Qing”, the “so-called high officer of the border province”, Zhao Erfeng, who Tibetans call “Butcher Zhao”. He implemented the so-called system of Liuguan that replaced former Tusi as the governors of ethnic groups; it included a series of “policies of assimilation” that resulted in the murdering of countless Tibetans in different areas, the forced resettlement of local people, and a number of preferential policies encouraging Han-Tibetan intermarriages as a means to foster “assimilation” and “integration”. It even included a special “Han-Barbarian Intermarriage Order” that encouraged Han officials and soldiers to marry local Tibetan women; it stipulated that “Each couple is given 10 litres of highland barley each month; couples raising children are given 10 litres per person per month. Those joining the army and cultivating savage land, will be entitled to keep this land and after three years, be exempt from paying an official grain quota to the government” etc. 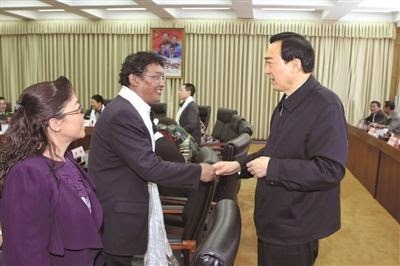 In today’s 21st century, the CCP officials governing Tibet propagate publicly that “with regards to schooling, employment, joining the Party, joining the army, obtaining support for business start-ups or innovation, respective policies are geared towards effectively mobilising inter-ethnic marriages”. It is obvious that this is a direct imitation of Butcher Zhao’s ideas. Of course, in order to realise “inter-ethnic marriage”, the migration of other ethnic groups is required. For the most part, the policies exist to encourage Han Chinese to migrate to Tibet so as to dilute and trivialise ethnic problems and tensions. Marriage should really be a natural “I like you, you like me” matter; but now it is used by those in power, it is forcefully encouraged and enticed by means of various “special policies”. I have even heard of certain work-units in Lhasa offering a reward to people who engage in “ethnic intermarriage”. The long-term consequences of this will certainly be profound. I really admire the Party officials who expose their colonial intentions in such a shameless way, not even officials during Maoist times, let alone Mao himself, would have been so self-destructive; Mao was happily promoting the romantic image and Communist ideals of “one humanity” with “no differentiations”; he did not rear the ugly head of colonialism by trying to assimilate “barbarians” through “intermarriage”. Then again, it must be tough for this Party. It has been occupying Tibet for over half a century but still has not fully solved the Tibetan question and so all it can do is revert to the old rhetoric of feudalism, fall back on the methods of the old school colonialists and approach difference by “assimilation”, “alertness”, and “attack”. They use “intermarriage” to transform Tibetan people’s language, customs, religion and social structure and make them fit the Chinese world view, thus creating that one single “price tag” that Party Secretary Chen propagated at the above-mentioned symposium. Republished with permission from "High Peaks Pure Earth"